There are three main airports that serve New York City: John F. Kennedy, Newark Liberty, and LaGuardia. It is possible to get to Manhattan by public transit from all three airports, but that may be a little troublesome if you are travelling with a heavy load of luggage. For that reason, we have included information on optional airport transfer services that are also available at a reasonable cost. 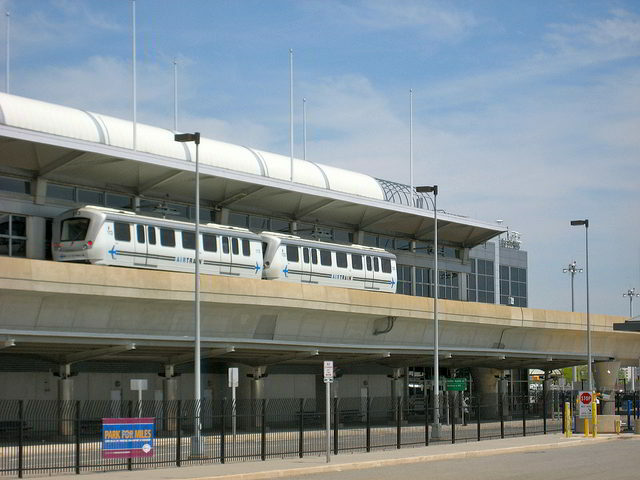 Start by taking the AirTrain, which services all 9 terminals at JFK airport, to Howard Beach or Jamaica Station. Make sure that you are on the train to Howard beach or Jamaica Station, not just to Lefferts Blvd, as not all trains go the whole way. From Jamaica Station take the E train which serves Midtown Manhattan and Penn Station where you can transfer to any other subway line or bus as required. This takes about 45 minutes which is quicker than the A train from Howard Beach. From Howard Beach | JFK station take the A train into Lower Manhattan where you can transfer to any other subway line or bus as needed to get to your final destination. If you are travelling with a lot of luggage you may find the New York Airport Shared Arrival Transfer starting at about $25 CAD per person more convenient than public transit for door to door service to your hotel in Manhattan. Take the M60 Bus, which services all of the LaGuardia terminals, to Astoria Blvd Station and transfer to the N or Q Subway line into Manhattan where you can connect to numerous other Subway lines or buses as required. If you are travelling with lots of luggage, the New York Airport Shared Arrival Transfer starting at about $22 CAD one way per person is more convenient than public transit with door to door service right to your hotel in Manhattan. Take the Newark Liberty AirTrain to Newark Airport Railroad Station and board the Northeast Corrider Train to New York Penn Station in Manhattan. From there you can transfer to subways and/or buses as required. If you have a lot of luggage you may find the Newark Airport Express Bus at $16 US one way per person more convenient than public transit for getting to Manhattan. It takes about 50 minutes. This brief video gives you clear and simple instructions for getting from JFK airport to Manhattan via the AirTrain and Subway. Directions to Manhattan are in the last half of the video.